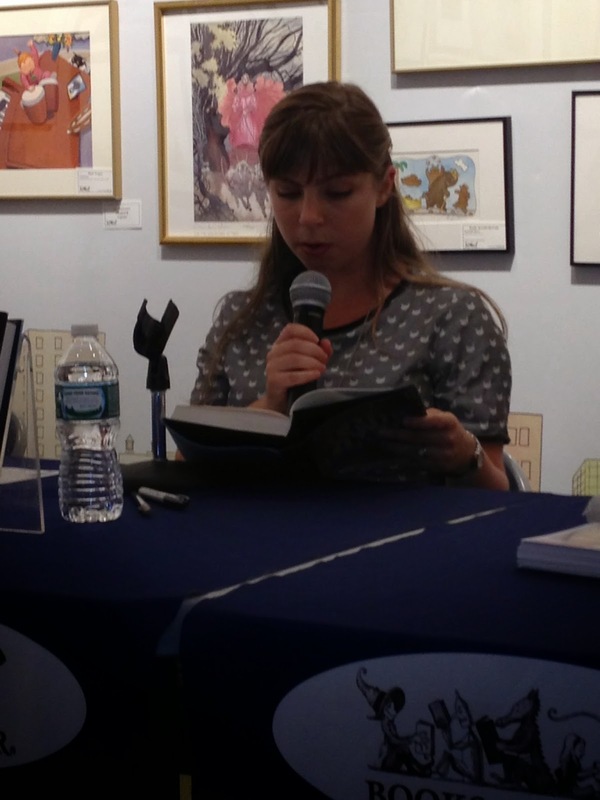 Midnyte Reader: Summer Chiller Signing at Books of Wonder and Contest! 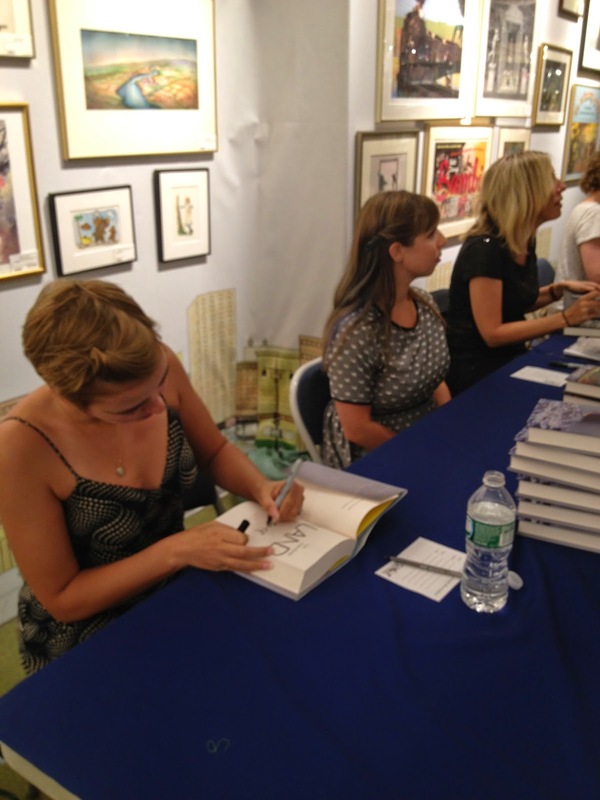 Summer Chiller Signing at Books of Wonder and Contest! Who: Kat Rosenfeld (Inland), Anna Schumaker (End Times), Laurie Faria Stolarz (Welcome to the Dark House) and Danielle Vega (The Merciless). Although I went to this event in August, I thought it would be a perfect post for Halloween Hootenanny. During the summer I find that bookstores, signings and publishers focus on beach reads and summer romances so I was very happy to see this event on the Books of Wonder calendar. 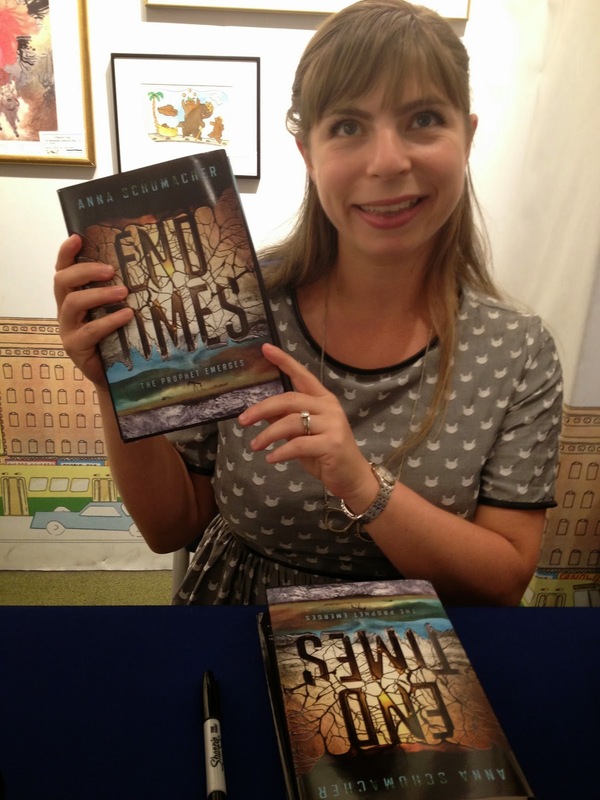 Summer Chiller spotlighted 4 books that are scary, thrilling and creepy. The authors talked a little about their books and then read a section from them. 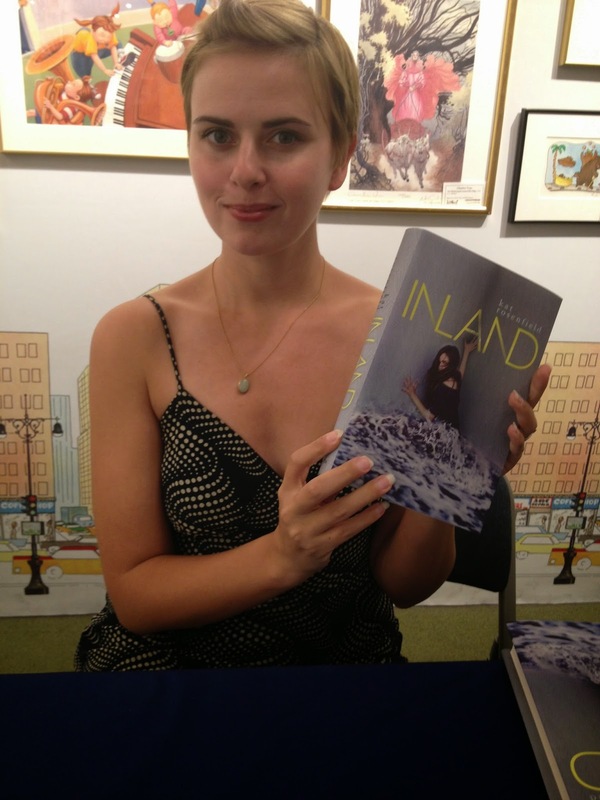 (I have a theory about the secret behind Inland). 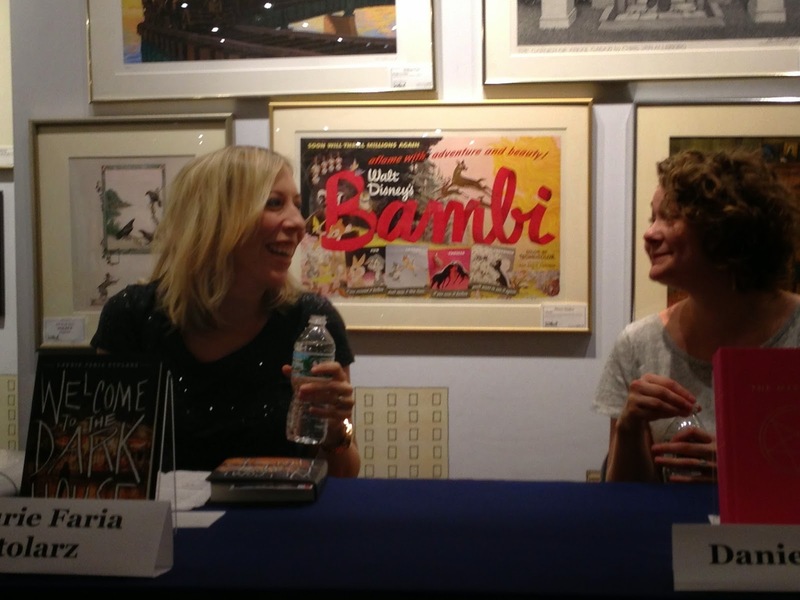 Then a Q&A followed by the actual signing and chatting. 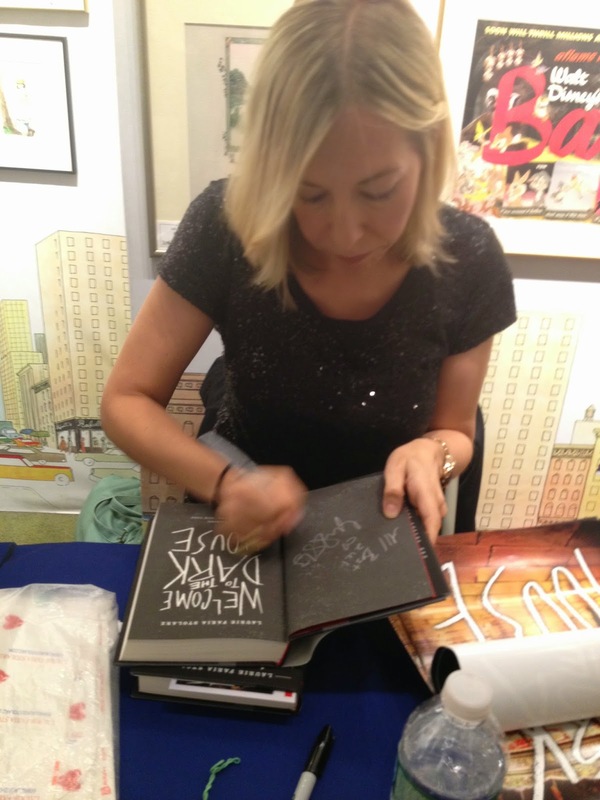 All the authors were very articulate and friendly. I enjoyed this so much, because I love any discussion of Horror and spooky stories in general. End Times is the first in a series and Anna has gotten angry e-mails because people don't realize this. She is now careful to tell readers this. 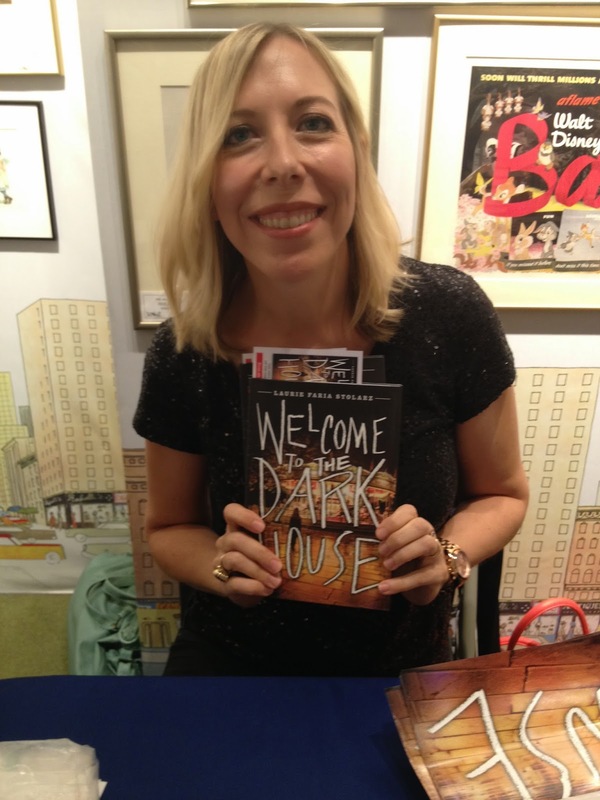 Welcome to the Dark House is Laurie's 14th creepy book. She doesn't have nightmares, but had one a few years ago and it was the inspiration for this book. Danielle's book is not part of a series yet when people read the end they get mad and want to know what happens. She got the idea from a news story that told about teens performing exorcisms with one of the girl's father. Usually people who believe in exorcisms are religious and Danielle had to think of a way to make teen girls religious yet a bit bad. 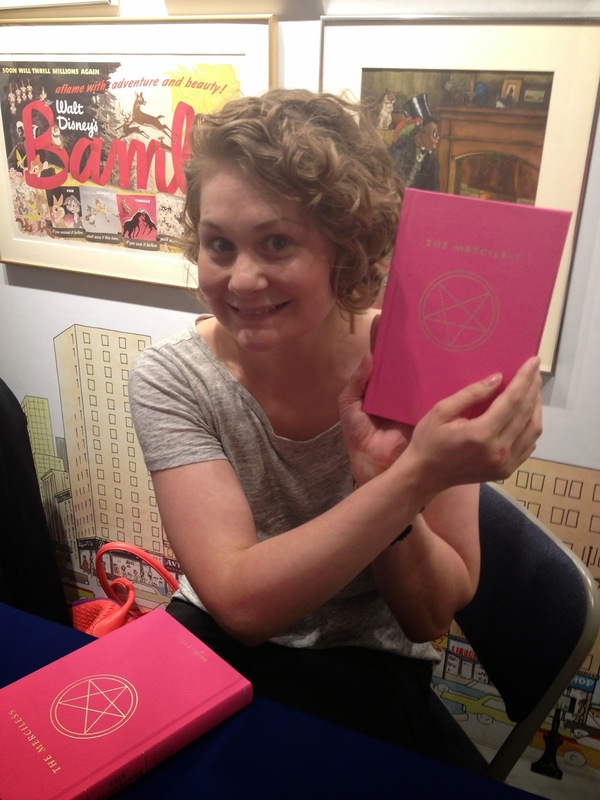 Danielle loves the cover for her book and thinks it takes guts to have a pink cover for a scary book. Kat loves her cover too. It was done by the photographer actually building a corner and taking it into the ocean. If you went on the authors Google history you may find the following topics: Murder, burn victims, dead rats, uses for chloroform. Laurie alway looks for a new level of creepy and takes things from headlines. She also eavesdrops a lot. Danielle does not have a lot of "lines." She feels that books like hers are basically treating teens like adults. "It's okay if you push boundaries and it's okay if it's not for everyone. If I can come up with it, I think others will too." Anna likes to go really dark. She states that teens have a lot of darkness they have to face and adolescense is a good time to explore it because you're not an innocent child yet not an adult. The appetite for dark, disturbing literature is out there. Laurie says she *does* get grossed out and confessed that she's a big scaredy cat. She feels her work is not "slashery" but more pyschological. Kat doesn't think about it. She just writes her story and does not write to an audience. She understands that some people may be upset. Anna would not classify her book as horror. She stated, "It's definitely creepy, but there is no guy coming after you." She always likes to research something she knows nothing about. For this book she looked into a lot of Motocross, life and work on an oil rig. Kate feels her book is more of a pyschological thriller. She googled different myths about people who live in the water, like Selkies and Mermaid. She then paused and informed us that it's not a mermaid book. She enjoys being scared, although regrets it later. " I think people like the sensation but know they're safe." Laurie explained that fear is very relatable. It's a thrill ride and the reader is rooting for the character. There is enjoyment for audience to relate to that fear. Anna stated that everyone has a little bit of darkness in them. They don't want to act on it, but you can be in the darkness for a little while by reading something scary. Danielle doesn't really get scared. Her mom used to read Stephen King to her as bedtime stories. Her challenge is that she has to describe fear and figure out what scares people. Her editor wanted her to push it so it became a challenge. "The first stories were tales of caution. It speaks to people. We need the stories." I am giving away four different books to four different winners. ~First prize winner will win their first choice, second winner will get the next choice, etc. ~That's it! No need to follow unless you want extra entries. ~Sorry, this contest is US only! ~This contest ends on October 27, 2014 at 12:15 a.m.